Cradle Mountain is one of Tasmania’s many protected areas which cover 42% of the islands. How can one not be intrigued by a place that was populated by more than 70,000 convicts, has a town called Nowhere Else, and is home to a night-marauding carnivore named after the devil? The tagline for Tourism Tasmania is “a curious island at the edge of the world.” From what was once a penal colony on one of the world’s most beautiful islands, a fascinating, somewhat quirky, destination has evolved, now with half a million people living in a place the size of Switzerland. Rowing The World is hepped about Tasmania because that’s where our very first Australian rowing trip, Touring & Rowing Tasmania, will be in 2019, AND we have other Australian trips coming up as well. Stay tuned. 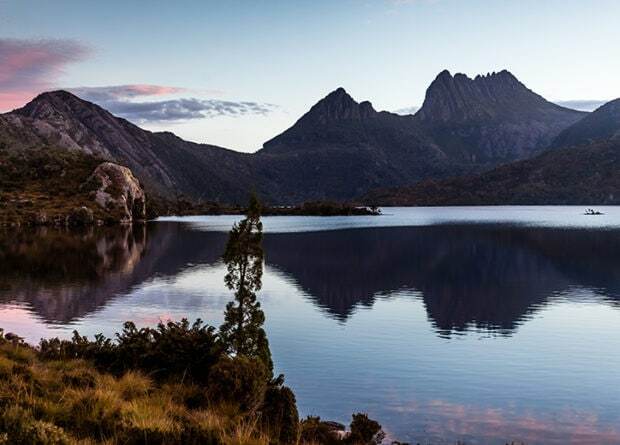 Tasmania is known for its vast, rugged wilderness areas, encompassing six national parks rich in alpine terrain, lakes, mountains and rainforest. It is also rich in history and culture. On the Tasman Peninsula, the 19th-century Port Arthur penal settlement—now an open-air museum—creates immersed and empathetic visitors by providing them with a prisoner’s identity as they explore. In Hobart, the port capital, the Museum of Old and New Art—MONA—has a contemporary edge in an underground setting accessible by ferry or road. 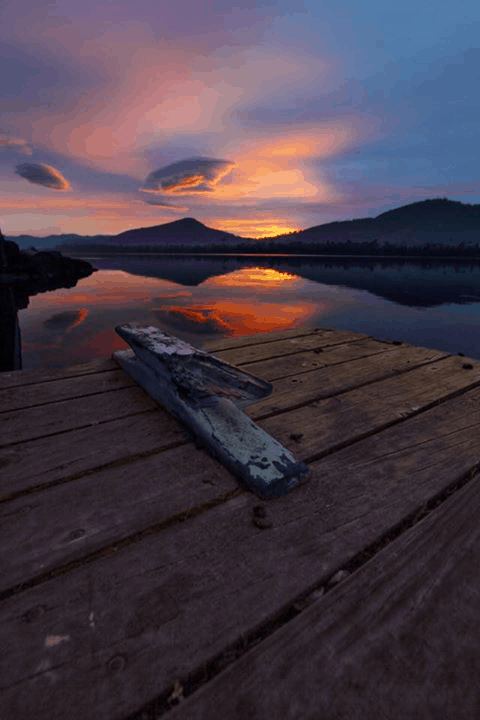 Huon River in Tasmania is considered one of the best places to row in all of Australia. A few favourite details—or highlights—on our Tasmania trip will include the Huon River, considered one of the best places to row in Australia; the Wooden Boat Centre at Franklin; and Lake Barrington, an international rowing centre in the heart of the island; and plenty of time to meet local rowers through their clubs, all of which hold great interest for rowing and rowers. Beyond that, we’ll also visit Heritage Highway, built by convicts in the early 1800s; the hills of the Tamar Valley, the island’s premier wine producing area; and a walk around Dove Lake, with a chance—albeit slim—to spot your own Tasmanian Devil. The real Tasmanian Devil is a nocturnal marsupial and is hard to spot. We here at Rowing The World love wildlife, as well as a laugh. The Tasmanian Devil is so-called because it is Tasmania’s top carnivore, known to emit fierce snarls, high-pitched screams, foul odors and violent sneezes. Lovely. While many may not know exactly where Tasmania is, they’ve heard of the Tasmanian Devil, the real one, made famous by an animated character in the Bugs Bunny cartoons of the 60s and that is the rendition we prefer to share. Check out Looney Tunes animated Tasmanian Devil, Claude, depicted in this short cartoon with Bugs Bunny in Bedevilled Rabbit. To the north of this isolated island, the aforementioned Tamar Valley Wine Route takes in more than 30 vineyards. Tasmanian pinots are considered among the best in the world. Pinot noirs, pinot grigios and sparkling wine tempt the taste buds from vineyards whose names are as wonderful as their wines: Stargazer, Goaty Hill, Sailor Seeks Horse, Shiny Wines, Bay of Fires Wines and Bream Creek – the Tasmanian Winery Company of 2018. And yes, the food! Tasmania is surrounded by ocean, so fresh oysters, seafood and scallops—in scallop pie!—will come as no surprise. But, lamb and ethical pork is very popular and Tasmania is known for pure milk, making for smooth blue cheeses, bries and camemberts. Harvesting wallaby, the ‘veal of kangaroo,’ is unique to Tassie, therefore the freshest fare is found here. It’s mild, delicate flavour, rich dark colour and tender texture has made it a staple on many high-end menus. According to one source, a light-bodied, silky pinot noir or dry rosé pairs well with delicate flavour of lean wallaby steak. One can sample food in restaurants or hotels as well as some of the popular local farmers’ markets. Salamanca Market on Saturday in Hobart is considered one of the top sights of Tasmania. Regulars and travellers alike stop in here to sample sourdough doughnuts, wasabi cheese, locally roasted coffee and other treats. Tasmania promises stunning rows, friendly Taswegians (yep, that’s what residents call themselves! ), and, great food and wine. We know the wealth of quirky wonders means anyone planning a trip to Tassie can have a devil-may-care attitude. We’d love if you joined us this year or next. Cathy Senecal is a traveller and writer. Cathy has travelled to every continent and has visited more than 40 countries, covering culture, outdoor adventure and wildlife experiences. She authored the bestselling wildlife book Pelicans to Polar Bears, and has written hundreds of articles for dozens of outlets including The Washington Post, The Globe & Mail, enRoute, Michelin Guides, Reader's Digest Atlas and Expedia.ca.